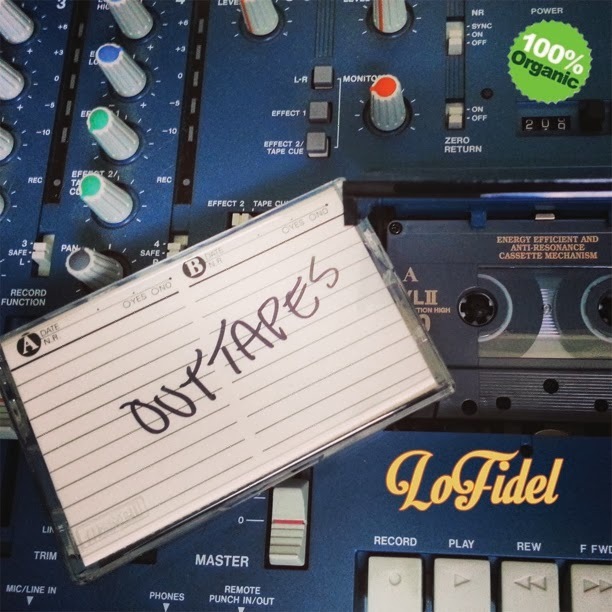 LoFidel cuts on the 4 track recorder to deliver the closing credits and "Outtapes" for his recent "audio film" One Tape Wonder. "Outtapes" is the blooper reel for One Tape Wonder, and also another 100% ORGANIC free EP (FREE 99?!) constructed without any digital media. More earthy, gritty, dirty, organic hip hop beats for you to enjoy! FOR BEST RESULTS: Play immediately after listening to "One Tape Wonder"
People is wrong when they think because they use a MPC the sound it is analog, that's completely wrong, all MPCs have A/D converters as soon as you sample from any source to your MPC then it turns to a digital sample, you save your samples into floppies, ZIP disks or CF cards (ALL digital) when you track your beats out of the MPC the MPC has D/A converters but again... your sound went through a whole A/D - D/A conversion so sound it is not 100% organic/analog... NOT hating at all, just making sure people get it right, Peace. You are exactly right...I think the idea is to promote an album recorded on 4 track. So maybe it should be worded that it was "Recorded" without any digital media.